We cordially invite you to participate in the 88th Workshop on General Algebra, from June 19 (arrival day) to June 22 (departure day). 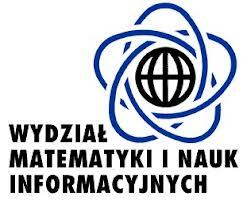 The conference will be held at the Warsaw University of Technology, Faculty of Mathematics and Information Science, in the new building at Koszykowa 75 in Warsaw. The meeting falls within the Stefan Banach conference series. The scientific program will start on Friday, June 20, 2014, at 9.00, and end on Sunday, June 22, 2014, at 13.00. The conference will be organized by the Algebra Group at the Warsaw University of Technology. 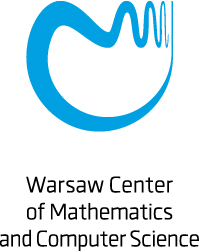 Support is provided by: Warsaw University of Technology, the Stefan Banach International Mathematical Center and Warsaw Center of Mathematics and Computer Science. The program will comprise several longer keynote plenary lectures, a number of shorter plenary lectures, and a larger number of 20-minute contributed talks. Further information concerning the conference proceedings will be provided later. This site will be updated regularly. We are looking forward to meeting you in Warsaw. G. Bińczak, T. Brengos, N. Dojer, A. Mućka, A. Pilitowska, A. Romanowska, M. Stronkowski, A. Zamojska-Dzienio, M. Ziembowski. E. Aichinger, A. Pilitowska, A. Romanowska, J.D.H. Smith.